JUST MY OBSERVATIONS – What Shall We Do? I’ve had limited access to what’s happening in the world of politics for the several days and as I began to catch up (which is impossible) I discovered some interesting things going on in DC and all around me. The IRS and Lois Lerner situation grows more revealing and there seems to be more and more implications that this reaches all the way to the top. We found that the IRS failed to follow the law regarding the Lerner and other emails. We heard the IRS chief declare that he is not PARTISAN, although he is an avowed Democrat, donated to Democrat campaigns, support Democrat policies and politics and failed to disclose the fact that the emails had reportedly been lost. No that doesn’t sound partisan at all – HAHAHA! If the emails were truly and innocently lost, which is impossible, had the IRS disclosed that fact upon the initial investigation and had this IRS chief disclosed that there were missing emails months ago it might be a little more believable but it is not. His assertion that he did not promise to deliver the emails he did not have reminded me of Bill Clinton’s definition of “is” and Hillary’s “What difference does it make now” declarations. I don’t really care how many emails they provide if a significant window is missing like the Nixon tapes missing information it smells fishy or ratty to me. Do we go to a special prosecutor? I say yes although I know that with Eric Holder and Barack Obama running the show in that arena it would be a political hack giving us a dog and pony show with no real intent on finding the truth or prosecuting anyone. However, if we do not take those steps then we say to the IRS and everyone that this administration can do whatever it pleases with impunity and that is virtually ceding the constitution and making him king. I cannot abide that and neither should you. It seems that Mr. Obama’s illegal and unconstitutional recess appointments are unconstitutional but the ruling also seems to deem it okay if Congress does not resist enough and that would allow him to literally amend the constitution without the proper process or due course. That is not acceptable and takes us another step down the road to a dictatorship. Congress has virtually become useless with regard to providing the ‘checks’ to this president which were designed to help ‘balance’ the equation of government and keep our Republic intact. I’ve said before that if they are not going to do their jobs then they might as well go home and let things take their natural course as when a coup transpires in a nation. Mr. Obama is attempting a coup to totally takeover the government of the United States of America and there is little to no resistance in Washington which has to change. Special prosecutors in Benghazi, Fast and Furious, IRS, and the VA should be immediate and there should be impeachment proceedings against the Attorney General, the VA chief, those in the State Department involved in Benghazi, and yes the President. Would anything come of it, not likely but at least it would be a statement that we protest and maybe just maybe something would come to light that would be impossible to sweep under the rug. Someone just might decide that going to jail or the possibility of going to jail is not worth their blind loyalty to this administration. 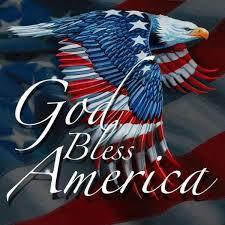 What I do know is that America is being dismantled from within just as our founders warned and many have predicted. America it is time to WAKE UP, STAND UP, and STEP UP. We have a Republic to save a Constitution to defend and Freedom contend for. 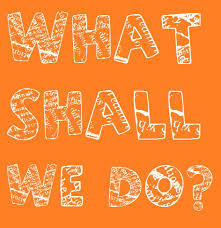 What shall we do? Yes I understand that if impeachment proceedings ensue the media and administration will use it to further make the Republicans the Evil Empire but enough is enough! 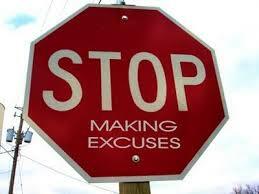 EXCUSES, EXCUSES WE HEAR THEM EVERYDAY…. I’m sorry, justifications per the administration, IRS, NSA, EPA, DOJ, and all the other acronyms of the Executive Branch of the United States Government. They do not offer ‘excuses’ they offer ‘justifications’ for lying, stonewalling, deception, ineptness, Un-American activity, etc. so they say. If they even care what we think, know, or believe, which I doubt, they do not hesitate to present fabrication, outrageous distortions, and completely unbelievable statements regarding to their activities. Hillary, Obama, and company devised a totally false narrative regarding Benghazi and who knows what the real story is of why they concocted the video story. They were seeking to hide something but exactly what and to what depths we do not know but we can conclude that it is huge. We find that they knew there would be an influx of children across our Southern borders as far back as January but they just found about those coming on the news. How did they know if they were complicit or responsible for the waves of people illegally coming to the United States? 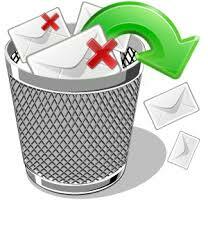 The lost emails of Lois Lerner and others in the IRS are not retrievable and lost forever but the IRS had a contract with the file-storage company ‘Sonasoft’ and according to virtually all I.T. people the only way they could be completely lost would be to destroy them purposefully. Yet, they spin it almost like a child saying ‘the dog ate my homework’ and seem to expect us to just say, “Okay, thanks for the explanation” and move on. SORRY I CAN’T DO THAT and neither should you or Congress. Mr. Obama’s policies have dismantled our ‘healthcare’ and ‘health insurance’ industries, sabotaged our economy, severely hampered our oil and gas industry, jeopardized our national security, and threatens our national sovereignty and yet FEW seem to be bothered by it. The media has recently lamented the Mr. Obama’s presidency is over because of his low poll numbers but I suggest that he is more dangerous now than ever. HE DOES NOT CARE! He never has and never will care what the polls, public, courts, or Congress says – HE IS KING OBAMA, at least in his mind. He truly is a ‘legend in his own mind’ so it seems. The release of the Taliban Five borders on, if it is not, TREASON and yes I said it. It is not the first ‘impeachable’ action he has taken but one that should force Congress to act and even if it becomes a symbolic act it should be taken. I know some have suggested that will only cost Republicans seats in the 2014 elections and the White House in 2016 but the way they have self-destructed in the past that cannot be a concern at this point. There is ‘right’, there is ‘wrong’ and there is ‘inaction’ which is also wrong. There is the small matter of the Constitution of these United States and the oaths of office that all elected officials take when being sworn in to their respective offices. 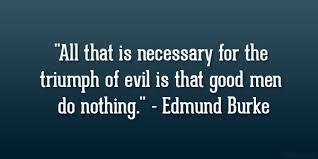 The president has violated his and if Congress does not act they are violating theirs. If any of us went to the IRS or any governmental agency and declared that our records had been lost via a computer crash we would be given no sympathy or mercy. Why should they be given a free pass? 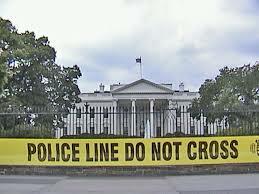 If we were guilty of lying to Congress or law enforcement we would face stiff fines and/or jail time. Why should they not be held to the same standard? If elected officials, agents, or agencies of those officials are guilty of obstruction of justice, illegal activities, or violations of the public trust they MUST BE HELD ACCOUNTABLE or all integrity in our system of government and laws is lost. America deserves better and it is up to us Americans to DEMAND BETTER. 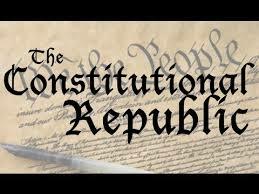 We are, at least for now, a Constitutional Republic with a Constitution and Laws and it is incumbent upon the American citizens to take the steps required to insure that remains. How much is your Republic, Freedom, Liberty, Rights, and Nation worth? I cannot answer that for you, and as those in 1776 we must individually and collectively determine how much is too much and how little is too little. The fight is for the Constitution and the Republic and while I urge that be done legally, ethically, and peacefully I acknowledge that our government is out of control and must be reined in. If we do not speak up, speak out, and exercise our constitutional liberties and privileges we are ceding defeat, THAT I CANNOT DO! THANK YOU HILLARY FOR DEFINING POVERTY FOR US…. With the infamous remakes by this politician on their ‘destitution’ after leaving the White House we now all have a better understanding of what she and the Democrat hierarchy believes to be POVERTY LEVELS. I didn’t realize how ‘poor’ I was until I examined her definition by declaration of her personal status. If it were not so ridiculous I’d be depressed but since I know the level of distortion I just shake my head and wonder. Wonder how can people, be so ill-informed as to believe something like this. But alas, they do! I did not realize that DEAD BROKE meant earning $12 MILLION or more per year so I truly am DEAD BROKE in a very real sense. I didn’t know that being the RICHEST former living first family meant DEAD BROKE but if they are then I can’t even qualify as DEAD BROKE I don’t know what level it is below that but I am light years away from even that distinction based on her declaration and the facts. In reality the Clinton’s have not been ‘in debt’ for years and command some of the highest speaking price tags of anyone on the circuit. Their net worth is $100 MILLION or more and somehow that identifies them as DEAD BROKE. Hillary acknowledged that she and Bill were charging an average of $200,000 per speaking engagement and that left them DEAD BROKE. What were they buying? Interns cannot possibly cost that much! It seems that in 2004 Bill scored an impressive $15 MILLION advance on his book and last year he brought in $106 MILLION on speeches alone. DEAD BROKE, we should all be that broke! 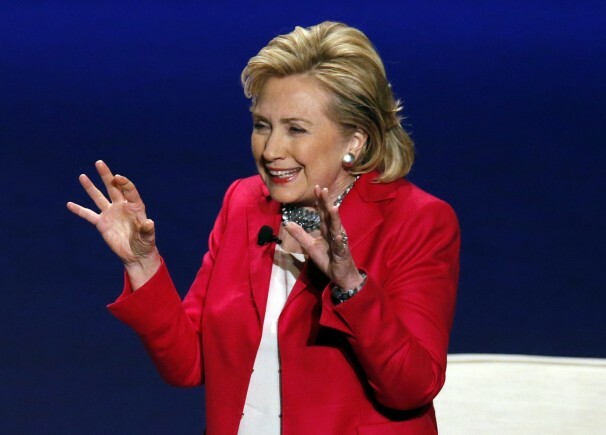 Hillary has made at least $5 MILLION from speeches since leaving the State Department and received over $16 MILLION for her two memoirs, “In Living History” (2003) and “Hard Choices” (2014). DEAD BROKE – Where do I sign up? She received about $2 MILLION during her tenure as Senator and Secretary of State and Bill has garnered over $2.6 MILLION in his pension from being President. I WANT ME SOME BROKE, Please! The Clinton’s are in the top ten of the wealthiest Presidents ever with John F. Kennedy being number one. He left behind $1 BILLION in shared assets. 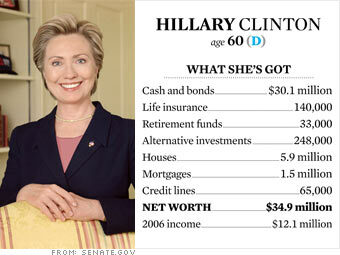 By 2001 the Clinton’s net worth has soared to over $25 MILLION and during the interim to that time they were anything but DEAD BROKE by any reasonable standard. They were able to purchase mansions, do extensive traveling, live the life of Riley and continue to be the upper crust of the upper crust financially. Hillary’s assertion that they were DEAD BROKE should be an affront to every member of the working class and should immediately identify how out of touch and lacking in the reality department she really is. Then you add to that her previous revealed beliefs and pushes politically and her actions while First Lady, Senator, and Secretary of State and you see just how UNFIT for the Office of President she really is. Of course many on the left seem to believe she somehow has a right to it and it would seem that some on the Right are in agreement and have given her a pass on much. “What Difference Does It Make Now?” It makes the world of difference. America is hanging by a thread after the years of Barack Obama and should we be subjected to even four years of Hillary Clinton we can sing “turn out the lights, the party’s over” because it will be over. I have contacted the Clinton campaign and asked if they have any tips on how to become so DEAD BROKE as the Clinton’s. I would like to live in retirement with no financial concerns as I’m sure most Americans and people around the world would. So now that you know what defines DEAD BROKE how do you feel? OBAMA HAS A PEN, A PHONE, AND A PERIOD….. The pen and phone are dangerous apparatuses wielded by this man of media shield but his ‘period’ is another of his insincere political speak trivializations of things important. When a person actually says the word ‘period’ at the end of a sentence it should mean, ‘case closed’, ‘end of story’, or ‘final decision’. Yet with this man it seems to be just a flippant remark designed to generate the imagery that he is ‘dead serious’ and ‘means what he is saying’. 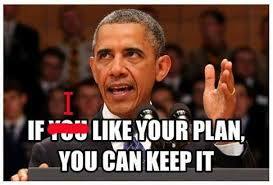 In the way he has used it, “If you like your doctor and health plan you can keep it, period” and other usages by this one it should engender comfort and confidence that your life will not be plunged into shambles but it does not! As we have found his ‘period’ is a pause not a finale. It may be an abbreviation of such as ‘You can keep it for a short period or for a period of time’ but certainly not ‘end of story’, ‘case closed’, or ‘final decision.’ Oh no! Like with is infamous ‘red line’ when challenged he declared it was not his red line it was the international communities red line after all how dare anyone hold him accountable for what he has said. I sincerely doubt he can remember what he says after all he is only reading words on a teleprompter not speaking from conviction or the heart. His recent West Point speech screamed of his insincerity and lack of understanding of America and Americans, in my view. When he defined to the West Point graduates that American Exceptionalism was living up to the ‘norms of the international community’ I was flabbergasted. How can it be ‘exceptional’ if it is ‘the norm’? If it is the ‘norm’ of the international community’s standards then it is not ‘exceptional’ but average and nothing more. I believe that expresses his view of America and maybe is a higher view than he actually holds. I’m not sure he even considers us ‘average’ as much as he considers us ‘evil.’ With ideologues like Barack Obama America is the cause of most of the ills of the world. It really does not matter if it is Obamacare, the IRS, NSA, Benghazi, Fast and Furious, Gun Control, or the VA Mr. Obama’s ‘period’ is definitively not a ‘period’ but a diversion, a pause, or a parenthesis. If these allegations prove to be true he declares he will not put up with it ‘period’ and I just saw Alice and the Tin-man walk by my window along with a couple of pigs flying overhead. The most transparent presidency in history, period is the most obscure and secretive. 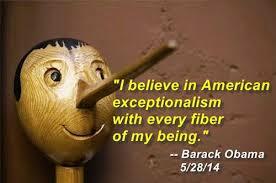 So maybe, just maybe, when Mr. Obama says ‘period’ it means the exact opposite. Instead of meaning he will act it means he will do nothing except find some scapegoat to fall on the proverbial sword for him. I’m sure a condition to being appointed to any position under this administration is the signed agreement to ‘take a bullet’ for the administration should the need arise. Maybe that’s the way it is with all of them, but I have every reason to believe it is with this one. If you are an American citizen and care about this nation and her people you should be disturbed over the lack of integrity and insincerity in the words that are spoken by this president. I would ask that you hold Barack Obama to at least the same standard you held George W. Bush and every Republican President. The left did not consider it a witch hunt to hold George W. Bush accountable for every word and deed. When things like the CIA Station Chief transpired under Bush somebody went to jail (Scooter Libby) and was ruined politically but with this administration his red lines and periods are just words that have no meaning, no substance, and no accountability. He has a pen and a phone but his periods are not periods except when it comes to negotiating with Republicans then his refusal is PERIOD, end of story! If America is foolish enough to allow the left to keep control of the Senate, gain any ground in the House, and retain the White House after the 2014 & 2016 elections respectively then we are placing our own PERIOD on American history. I am deeply concerned about his ‘pen and phone’ but I am disgusted with his PERIOD. 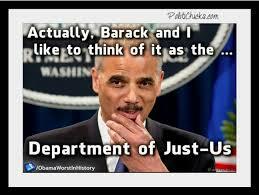 DISTURBING PATTERN IN THE OBAMA ADMINISTRATION…. Let me explain what I’m talking about specifically rather than just offer a generalization that could be quite appropriate. The most recent ‘outing’ of the C.I.A. Station Chief in Afghanistan by the White House is just the latest in numerous events that appear to be expose gross incompetence or purposeful transmitting information to our enemies especially Al Qaeda and their operatives. How many remember under the George W. Bush administration the ‘outing’ of CIA Agent Valarie Plame the wife of Congressman Joe Wilson? The late Robert Novak wrote a piece in 2003 that stated the Iraqi attempts to procure uranium from Niger false and identified the CIA agent by name making this assertion, Valarie Plame. He refused to reveal his sources and the media took to this like stink on a June bug and would not let it go. They blasted the Bush administration for their carelessness, incompetence, and evil with regard to Plame and we found out that the key leaker was none other than Richard Armitage, Deputy Secretary of State who was a subordinate of Colin Powell. No one went after Armitage but the media and special prosecutor went after Scooter Libby and convicted him and never even glanced at Armitage who alone with Powell were Anti-Bush on many levels. The media continued this for two years focusing on Bad Bad Bush. Yet, when it comes to Barack Obama this latest disaster is just a ‘misfortunate slip’ and nothing noteworthy. Really? This is a virtual death sentence to the Station Chief and while called accidental leakage I contend there is no such thing when it comes from our own government. They knew it and it appears to be a bone thrown to the terrorists to appease them, which it never does or another attempt to harm America. 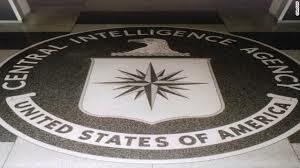 Let’s back track just a bit and do you remember the Pakistani doctor who helped the CIA find and capture Bin Laden? While I cannot prove it concretely, the preponderance of evidence seems to indicate that it was the administration that leaked his name and therefore became complicit in his arrest. It is another case of ‘use them’ then ‘lose them’ and places America in a position in the eyes of the world as someone who cannot be trusted. How about the identifying of the names and other information about the Seal Team that actually carried out the raid. That was an immediate ‘target’ on their backs and that of their families and this can be traced to Barack Obama himself and made it a political campaign issue not what ANY PRESIDENT should have done and most would have done. Now with the history of this administration prosecuting ‘leakers’ that do them damage how will they, respond to this latest incident? My guess is NO ACTION. I don’t know if names like, Shamai K. Leibowitz, Stephen Jin-Woo Kim, Thomas Drake, Pfc. Bradley Manning, Jeffrey Sterling, or John C. Kiriakou mean anything to you but they have been prosecuted for much the same thing. So, Mr. Obama, who in your administration, is going to suffer the fate of Scooter Libby or these individuals? My guess is NO ONE. But then I only have 5+ years of history to base my presumption on. 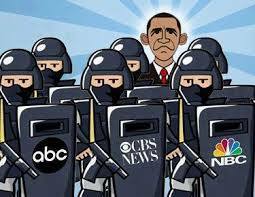 If the media were truly a news outlet not a shill for the administration we would have answers to Benghazi, Fast and Furious, the NSA, IRS, and VA scandals and much more. In fact, Barack Obama would have been forced into the fate of Richard Millhouse Nixon and would not be in Washington, DC as I write but he is and will remain there unscathed. We have never had a president so protected and excused as this one and I hope we never have another one. If a president does wrong, violates the constitution, usurps his authority, and violates the law HE SHOULD NOT BE EXCUSED or PROTECTED and I don’t care which side of the aisle he identifies himself or herself. We were given a Constitution and Bill of Rights with purpose. We were given separation of powers with purpose. It has been a slow erosion but America has witnessed the lines almost erased between branches of government, the rise of the executive monarchy, and the shredding of our constitution. 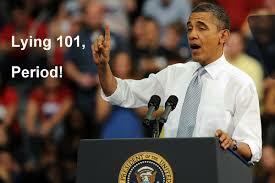 One promise that Barack H. Obama made going in he has been true to, his desire to FUNDAMENTALLY TRANSFORM AMERICA. Most could not believe he meant DESTROY but are waking up to the sad reality. Benjamin Franklin’s prophetic declaration rings loudly today, “A Republic if you can keep it.” Can we keep it? Can we see it restored? 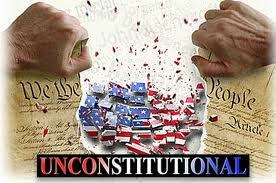 Can we stop the Unconstitutional Dismantling of America? The answer lies in each of us. It is up to you and I and I ask, ‘What Price Are You Willing To Pay To Have A Free Republic?” Only you can answer!